High quality automotive fuses supplied by Transpares, are the perfect solution for all vehicles. Our fuses are dispatch from our UK based warehouse and are of the highest quality. 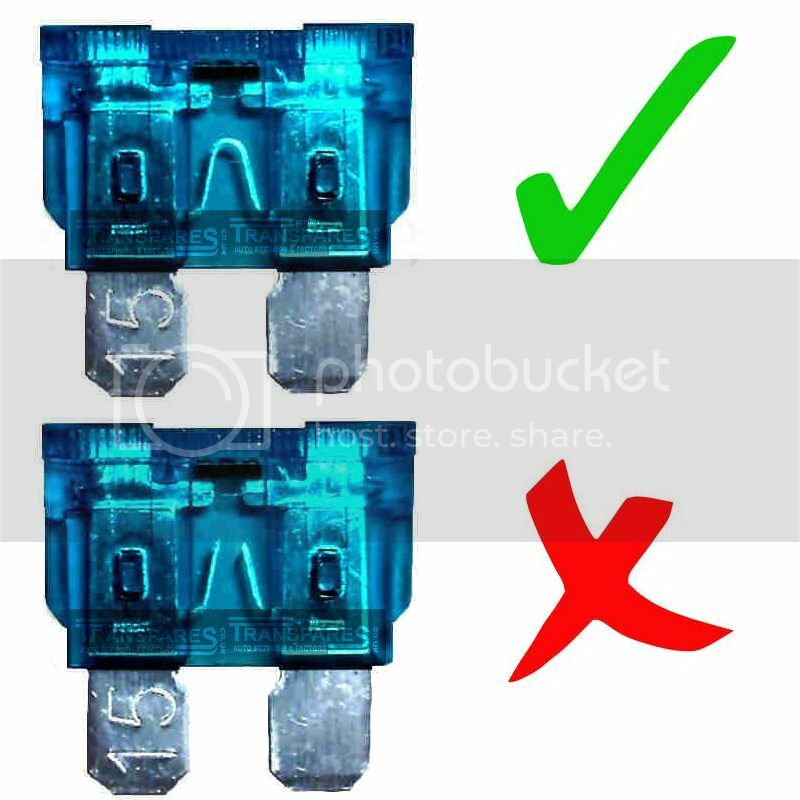 Remove old fuse with the fuse removal tool. To check your fuse couldn't be easier. There is a window in which you can see a small part of the fuse wire. If the wire is in one part (like the 1st picture below) then the fuse is in working order. When replacing the fuse please make sure the electric system is switched off. Only replace fuses with the recommended amp's.